A man whose neighbors have been upset because his back yard is overgrown is asking for help to clean it up. 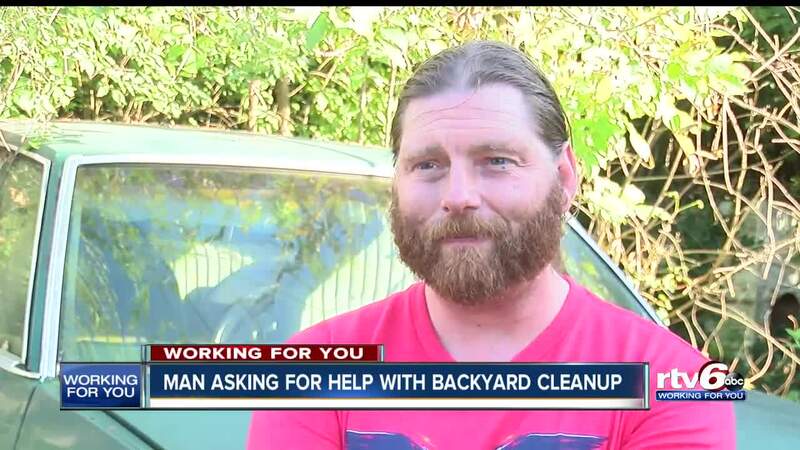 INDIANAPOLIS -- The man at the center of complaints from his neighbors over his messy yard is now asking for help before an inspection next month. People living near the intersection of Arlington and Beechwood avenues say they have been filing complaints on their neighbor, Brandon Basham, for 15 years. Last week, he said financial troubles have made it difficult to clean up the mess and the city has fined him thousands of dollars through the years. Basham said his life was going well in the mid-2000s. He was married with a child on the way, but his daughter died from complications to birth in 2011. Her death hit him hard. "After my daughter passed away -- the grieving process -- I just dove into work," Basham said. "Working more hours taking your mind off everything else." Basham got divorced, leading to a contentious and expensive custody battle over his son. Through it all, he's had a hard time keeping up with his house. "I haven't been on top of things - that's my fault," Basham said. On his property, he has two vehicles that don't run, tires and overgrowth. The health department said his garage roof needs repair. "They're afraid it could create a living space for possums or raccoons," Basham said. He said he's been the victim of a couple break-ins last year, so he started letting the weeds grow because he didn't like the area looking so inviting. But he now realizes he needs help. The health department will be re-inspecting his property in early November, so first he needs help taking care of his issues. "I wanna get this stuff cleaned up," Basham said. "I wanna make my neighbors happy." If you think you can help, send an email to Graham.Hunter@wrtv.com .